For more detailed articles, tips and information, read more on our Health Renewal website: Health Tips. Out of the 73 respondents female respondents, over 80% indicated that they follow a low calorie diet and avoid sweets and junk food. 92% of respondents are eating in moderation and not overindulgent, 50% eat a high protein diet, whilst 42% try to keep calorie content for each day the same! This is the basis of a healthy diet, and we refer to the 80:20 rule – Eat well balanced meals and healthily during the week, and allow yourself a ‘cheat day’ over the weekend if you crave something sweet, more decadent or a glass of wine. 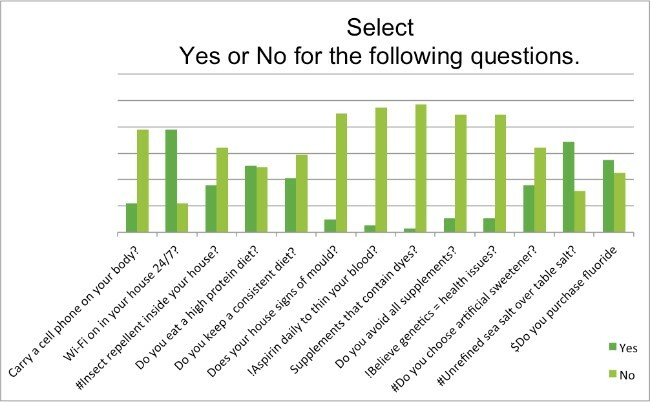 62% of respondents follow advice given by a medical Doctor, and almost 90% of individuals research topics of health and wellness online – this indicates a well researched group who take their health seriously! If you would like to keep up to date with health trends and gain valuable information, why not follow our SkinOnline blog. 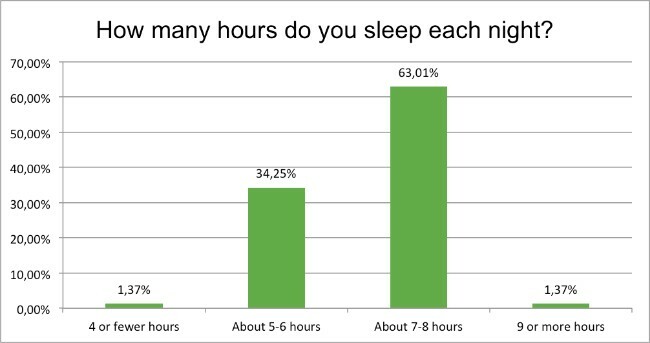 It is good to note that 63% of respondents get 7-8 hours of sleep each night, whilst a further 34% get 5-6 hours a night. The optimal amount of sleep is 8 hours a night, but keep in mind the quality of your sleep is just as important as the amount of sleep. To learn more about healthy sleep hygiene visit our website and enquire from our new Morningside SleepRenewalClinic for more information if you suspect you are not getting the right type of sleep! 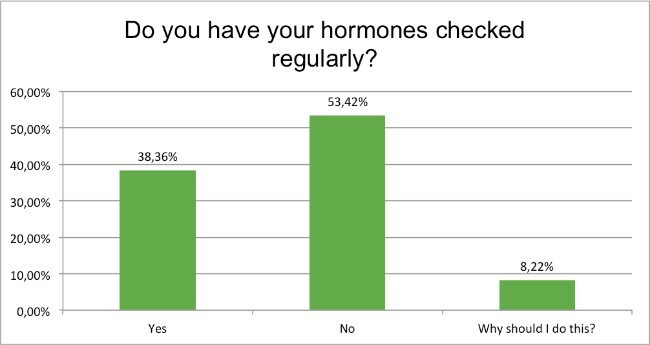 53% of respondents have their hormones regularly checked, and 38% don’t. Over the age of 40, it is important to check your hormones annually so you can manage menopause, chronic stress and age related hormone fluctuations. At Health Renewal we treat bothersome symptoms through the targeted use of Bio-Identical Hormone Replacement Therapy(BIHRT Replacement Therapy (BIHRT). A range of products, which is made in a sterile laboratory for each patient, is based on the patient’s own hormone requirements. This ensures optimal treatment, minimal reactions and ultimately a healthy and happy individual! 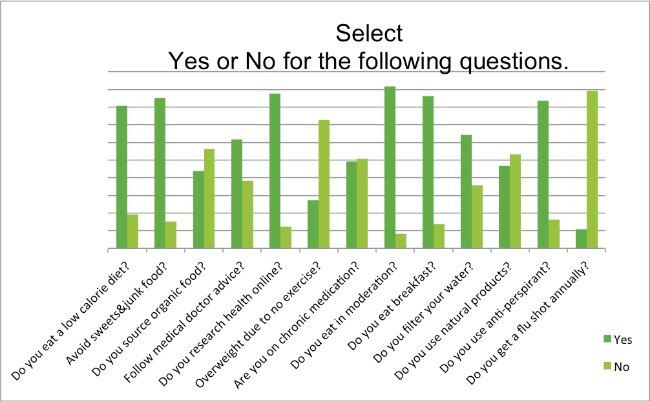 50% of respondents are on chronic medications, and 27% are overweightdue to a lack of exercise. If you would like to lose a last few kilograms before the festive season and beach hoidays why not look into our Body Renewal Medical Weight Loss Program! ·10% have signs of mould in and around the house. ·86% of respondents eat breakfast – which is a fantastic healthy habit! Kick start your metabolism and start each day the right way! 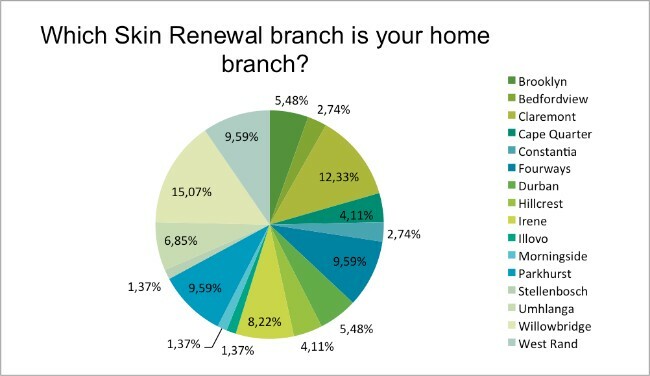 ·46% use natural / organic body care products – this is good for your skin and the environment. ·83% of respondents use anti-perspirant. It is never to late to start incorporating healthy habits into your day to day routines!